Your wedding video will capture the emotions felt on your wedding day! Las Vegas wedding videographers are adept at capturing your Vegas wedding ceremony and reception moments - every tear, every smile, every kiss! 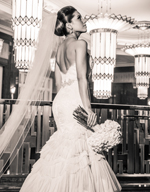 Find the top video and cinema professionals by visiting The Bridal Spectacular. Las Vegas' premier bridal show. Don't wait until the last minute to book your video professionals. You should meet with the cinematographers in person before making a final decision and view their demos to determine if they have the style you are looking for and to see if your personalities "click". Memory Lane Video is both the most sought after wedding cinematography studio. Our team are decorated and award winning film makers in the industry. Our multiple awards set us apart from the rest. We film each and every wedding with a unique cinematic perspective that celebrates our client's individuality. Capturing Your Special Love Story!